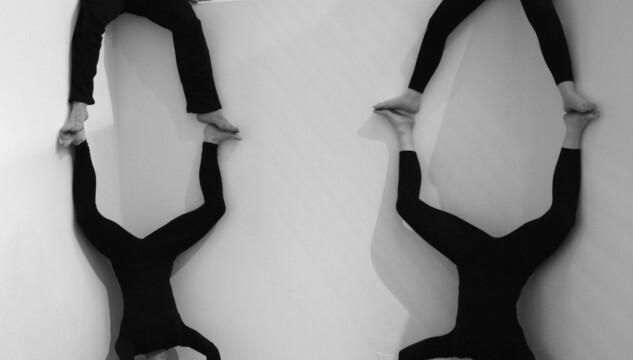 Emily Speed, Build-up (detail), Constructions with acrobats in the Toastrack building, Manchester, 2013. Castlefield Gallery is pleased to present its annual Head to Head exhibition featuring new work by Hayley Newman and Emily Speed. Programmed under the gallery’s 2012/2013 overarching theme of World In Transition their work explores the relationship between the body and architecture. 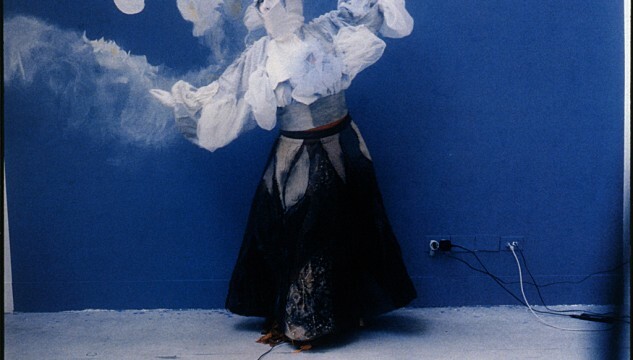 Using an eclectic range of media from sculpture and video to performance and writing, their work can be seen to continue a tradition in female performance and sculpture that explores physical limitations and mental or emotional trajectories, orchestrating narratives that play with the precariousness of the body’s relationship to one’s environment. The exhibition will open with drawing and photographic works by the artists including Newman’s key 2004-2006 work The Volcano Lady; two photographs documenting a performance of the artist wearing a costume designed to resemble a live volcano and Speed’s drawings of bodies with deeply crusted architectural skin, carapace or armour, where only the legs are free to move; their work shares a mutual interest in the use of humour and sexuality to mischievously coerce the tension between the physical and the metaphysical. 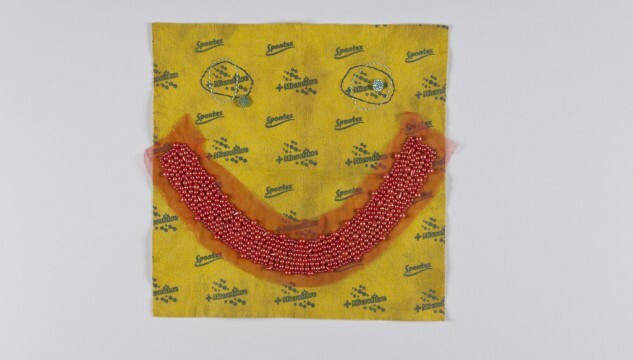 Major new works will include Newman’s Domestique consisting of over fifty donated used dishcloths with embroidered faces, made using ribbons, sequins, peals, embroidery silks and buttons. 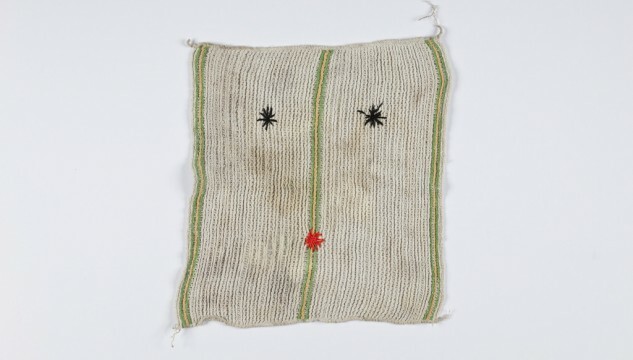 Produced at home between 2010 and 2013 – whilst in a state of absentmindedness – listening to the radio or watching films, the dishcloths are elevated from lowly discarded status to anthropomorphic objects of beauty. Poised like portraits, the faces are reduced to simple gestural lines and like masks reveal or conceal a mix of emotions. Newman’s new work Façadism is a selection of short stories presented as a photocopied book that goes by the same title as this lauded and decried architectural phenomenon of demolishing a building while preserving its façade. She has written about faces; the face of a conman, a woman experiencing a form of facial numbness or two people catching a glimpse of each other across a room. Made within the wider context of social and public realm work and her interests in the current economic and ecological crises, the personal and political, Histoire Économique is a series of rubbings of details from the exteriors of banks on used envelopes, referencing Max Ernst’s series Histoire Naturele, a major work in the history of frottage. 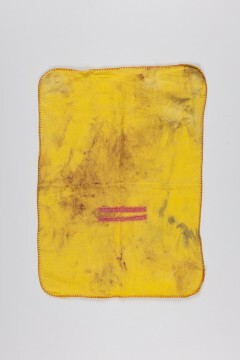 The rubbings were inspired by Newman’s own performance as a bank rubber, recorded in her forthcoming novella Common in which she documents her endeavours of playful protest as the Self Appointed Artist-In-Residence in the City of London. Inspired by the stories of the French surrealist novelist Marcel Aymé, Speed explores the incredible scenarios that converge with the real limitations, such as a woman who can make copies of herself, or a man who can walk through walls but one day gets stuck inside a wall for eternity illustrating total impossibilities. Speed’s new work Build Up is new sculptural piece with stills and moving image developed with acrobats in Manchester’s iconic Toastrack building. 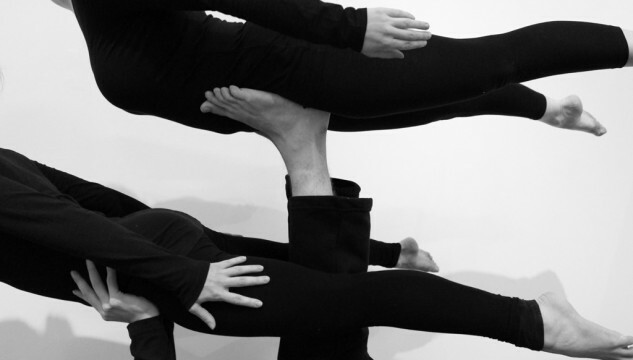 Working with bodies and the architecture itself, the work features a series of exercises in construction, where the body becomes an element in a cyclical repetition of movement developing a rhythm of building and collapsing. The work continues to explore a previous work Human Castle or Castell, a Catalonian tradition dating form the 18 Century, originally developed for the Edinburgh Art Festival, using the body as building material; and the Czech writer Petr Kral’s work In Search of the Essence of Place, a memoir in which the places he visits are the protagonists and people are merely shadows, Speed explores the psychology of space and the idea of the body as a building for housing the mind. Castlefield Gallery has commissioned an essay by Tracey Warr to coincide with the exhibition. It is available from Castlefield Gallery during the exhibition or to download from the resources section below. Warr is writer, curator, teacher and Senior Lecturer in Contemporary Art Theory at Oxford Brookes University. Castlefield Gallery would like to thank Haleh Moravej, Senior Lecturer at Manchester Metropolitan University for her kind support with Emily Speeds Build-up project. Hayley Newman (b 1969) received a BA at Middlesex University before gaining a Higher Postgraduate Diploma in Fine Art at the Slade School of Art. In 1995 she took up a DAAD scholarship in the class of Marina Abramovic´ at the Hochschule für Bildende Künste, Hamburg after which she was awarded the Stanley Burton Practice-based Research Scholarship at the University of Leeds, completing her PhD in 2001. She is a tutor on the doctorial studies programme at the Slade School of Fine Art. In 2004/5, she was the recipient of the Helen Chadwick Arts Council of England Fellowship at the British School at Rome and the Ruskin School of Drawing and Fine Art, Oxford. She has performed and exhibited widely and has had solo shows at Matt’s Gallery, London, The Ikon Gallery, Birmingham, the Centre d’Art Contemporain, Geneva and Yorkshire Sculpture Park. Recent performances include Facing, Cornerhouse, Manchester; Bankspeak (with Andrea Mason), The Royal Exchange, City of London and Café Carbon performed by The Gluts (Hayley Newman, Gina Birch and Kaffe Matthews) at Camden Arts Centre, Whitechapel Gallery and Modern Art Oxford; Recent group exhibitions include Richard of York Gave Battle in Vain, Whitechapel Gallery; The Last of the Red Wine (The Prequel/Sequel), Project Arts Centre, Dublin and Emporte moi/Sweep me off my feet, MAC/VAL Paris, France and Musée National des Beaux-Arts du Québec, Canada. Newman has just finished writing a novella based on her experiences as ‘Self-appointed Artist-in-Residence’ in the City of London. The book will be published by Copy Press in 2013. Hayley Newman is represented by Matt’s Gallery, London. Emily Speed (lives and works in Liverpool, UK) received a BA (Hons) Drawing & Painting, Edinburgh College of Art and graduated in 2006 from the MA Fine Art: Drawing, University of the Arts London: Wimbledon College of Art. Speed’s work comprises of documented performances, installations, drawings, artists’ books and sculptures. The idea of shelter and the inhabitant is at the core of much of her work; how a person is shaped by the buildings they have occupied and how a person occupies their own psychological space. Increasingly her work is worn or performed, using somewhat absurd spaces constructed specifically to fit her body, constructions that protect and make vulnerable in equal measure. Nominated by Sally Tallant, Director, of Liverpool Biennial, Speed has been shortlisted for the 2013 Northern Art Prize; Leeds Art Gallery (winner to be announced on 23 May 2013). Recent exhibitions and performances include Subjective Involvement in Physical Spatial Entities, Oredaria Gallery, Rome: CAVE Art Fair 2012, Liverpool, UK; Human Castle, Edinburgh Art Festival 2012, Commissioned by Sorcha Carey; PLAY/GAME/PLACE/STATE, Collyer Bristow Gallery, London; Topophobia, Danielle Arnaud Gallery, London and touring to Bluecoat, Liverpool and Spacex, Exeter, UK. In 2011 Speed had a solo exhibition MAKE SHIFT at Yorkshire Sculpture Park and in 2012 she was commissioned by Open Eye Gallery, Liverpool to create a sixth-month long intervention with the architecture of Open Eye’s new gallery. She has undertaken residencies at Linz Kultur, Salzamt Atelierhaus Linz, Austria; A Foundation, Liverpool; Women’s Studio Workshop, New York State; Hospitalfield House, Arbroath, Scotland. 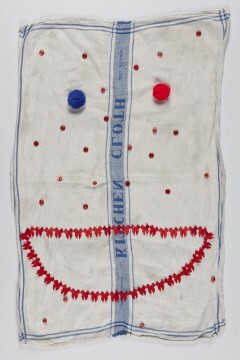 She has works/artist book works in several public and private collections. The preview Hayley Newman & Emily Speed’s exhibition is kindly supported by Barefoot Wine and The Knott Bar.